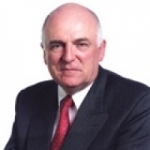 Sir Richard Dearlove was born in Gorran Haven in Cornwall and attended Schools in England and Connecticut, USA, before studying at Queens' College, Cambridge. He joined MI6 in 1966 and was posted to Nairobi in 1968. After being posted to Prague, Paris and Geneva he became head of Washington station in 1991, director of personnel and administration in 1993 and director of operations in 1994. In February 2008 Dearlove gave evidence at the inquest of Princess Diana's death, responding to Harrod's owner Mohamed al-Fayed who claimed that MI6 had murdered Diana.